Are you currently wearing sunscreen? If not, you should be. Even if you’re indoors, ultra-violet (UV) waves are hitting your skin, slowly damaging collagen production and reducing your skin’s elasticity. There are two types of sunscreen. Chemical sunscreens absorb UV rays to prevent them from reaching your skin. Physical sunscreens use ingredients such as zinc oxide and titanium oxide to act as a barrier to help reflect UV radiation – it’s essentially like wearing a t-shirt on your face. 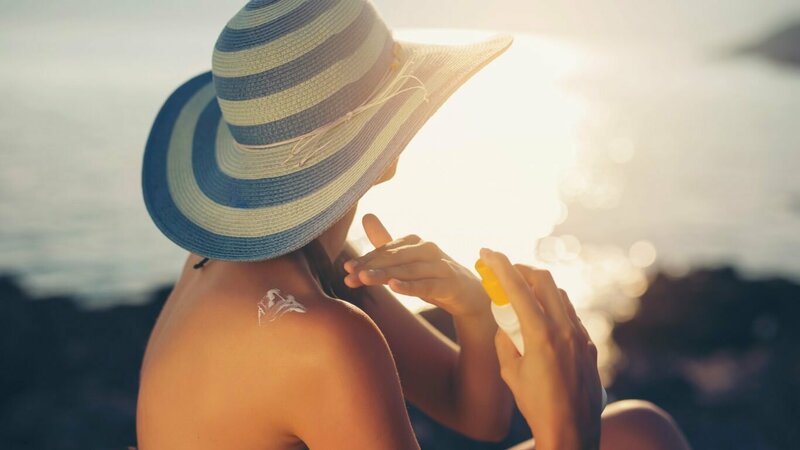 When purchasing a sunscreen you should look for two things. The first is the list of ingredients – we suggest purchasing a sunscreen with zinc or titanium. The second is the SPF level, which stands for Sun Protection Factor. When labelled on sunscreen it relates to the amount of time it takes before redness appears on the skin. According to Cancer Council Australia, when SPF30 sunscreen is applied correctly, in theory it will take about 300 minutes for skin to show redness. Basically, the higher the SPF level the greater the amount of protection. However, factors such as skin type, skin treatments, sun-protective clothing, swimming or sweating affect the level of protection. Approximately one teaspoon of sunscreen should be applied to the face, 20 minutes prior to sun exposure. Sunscreen is essential to protect the skin’s collagen, keratin and elastin. We recommend applying sunscreen as a part of your skincare regime after moisturising, then reapplying every two to three hours. Adults should also apply about a teaspoon each to the neck and ears, as well each arm and leg and the front and back of the body. Even when it’s cloudy outside, UVA rays (the ageing rays) can still reach your skin so don’t give sunscreen the flick because of this. If you feel you have already damaged your skin in the harsh Australian sun don’t despair, The Harley Clinic has the latest treatments that can help reverse the signs of sun damage and help wind back the years. For more advice about skin health, speak to our trained experts at The Harley Clinic. They will help you understand your PRPs and Factor 4s from your UltraFormer III and laser treatments. They’ll also arm you with the right products to keep up the good work at home. When we treat your skin at The Harley Clinic your skin may become more susceptible to UV damage. We suggest reducing the amount of time you spend in direct sunlight and strongly recommend using a daily sunscreen regardless of the weather.